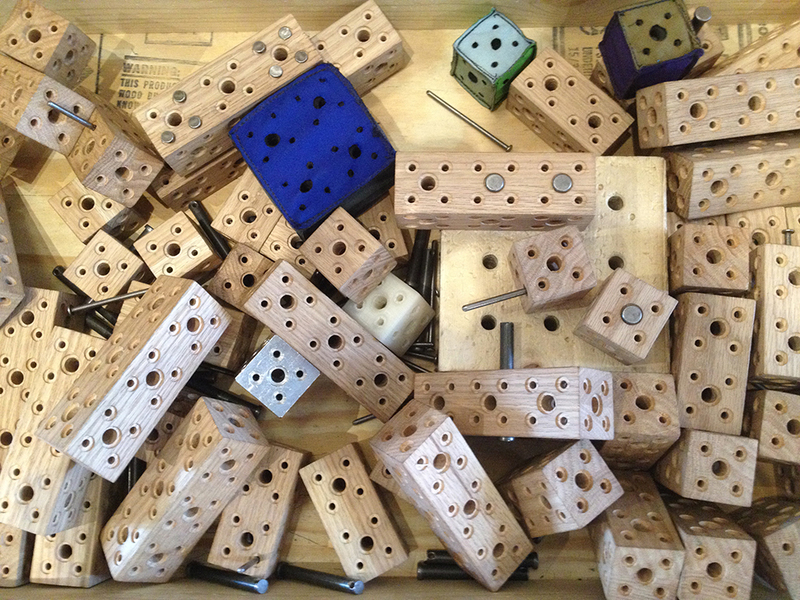 Before I started teaching in MAKESHOP I really didn’t make very many things at home. Nowadays there is always some kind of project we are working on. 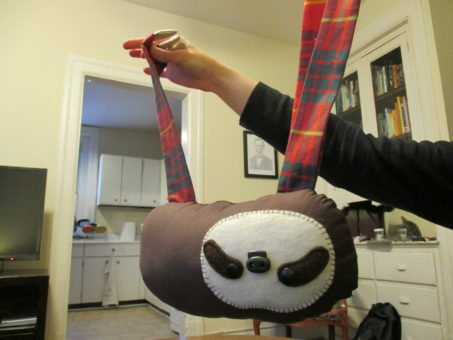 At my house we really like sewing and we really like sloths. 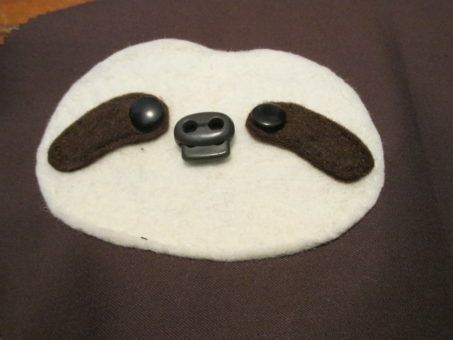 So we figured, why not make a stuffed sloth? We looked up a lot of pictures of real sloths to see how exactly the their facial markings looked. We made a pattern on paper and then went on an adventure to our local fabric store. The face and body are typical sloth colors, but the legs are a little different. I definitely had to use a lot of the skills that I have come to learn from my fellow Teaching Artists in MAKESHOP to create this sloth. 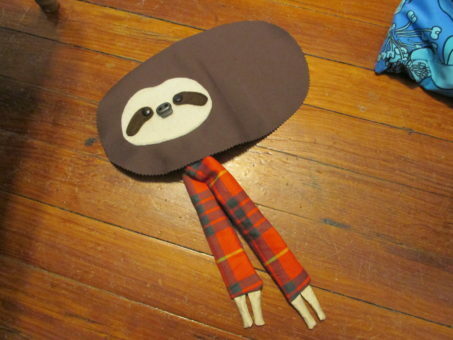 Sewing stuffed animals is not something I typically do at work, but maybe I could start to show visitors how to make something similar to my sloth. It just takes a little practice and a lot of patience.